The Mercedes 220 series first made its appearance in 1954 with the launch of the 220a. Considered to be the first modern Mercedes, they were powered by a 2,195cc straight six engine which produced around 80BHP. Offered as a coupe or a cabriolet, they were the ultimate in luxurious motoring in the 1950s and were built to very high standards. 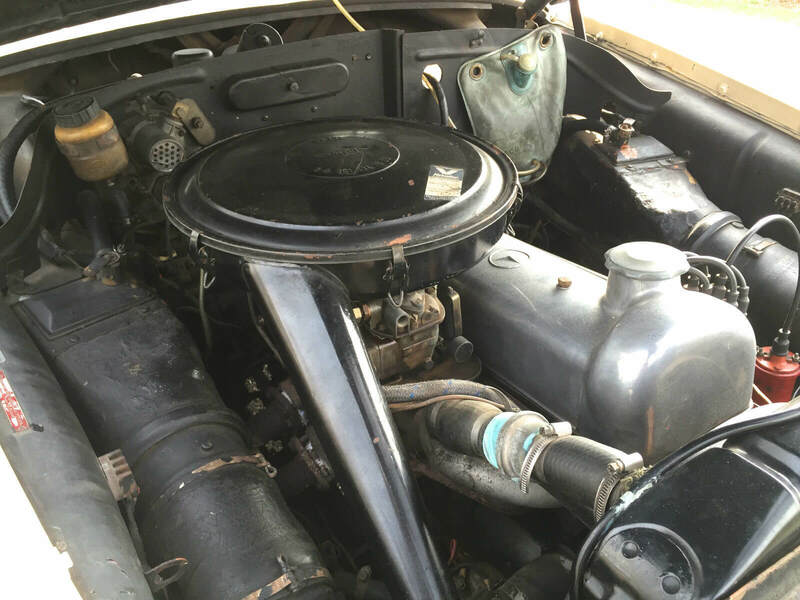 In 1956 the Mercedes 220s was launched and was upgraded to twin Solex carbs, increasing power to 106BHP. The updated design featured a new unitary construction method utilising box-section side-members which would later earn the 220s its “Ponton” nickname. A 4-speed column shift manual transmission was offered, with an optional extra Hydrak automatic clutch. This was operated via a switch in the transmission lever, making it semi-automatic. Servo assisted drum brakes were also standard on the 220s. Only 3,429 coupes/cabriolets were built by the time the models production came to an end in 1959. Offered for sale is a 1959 Mercedes 220s Coupe. 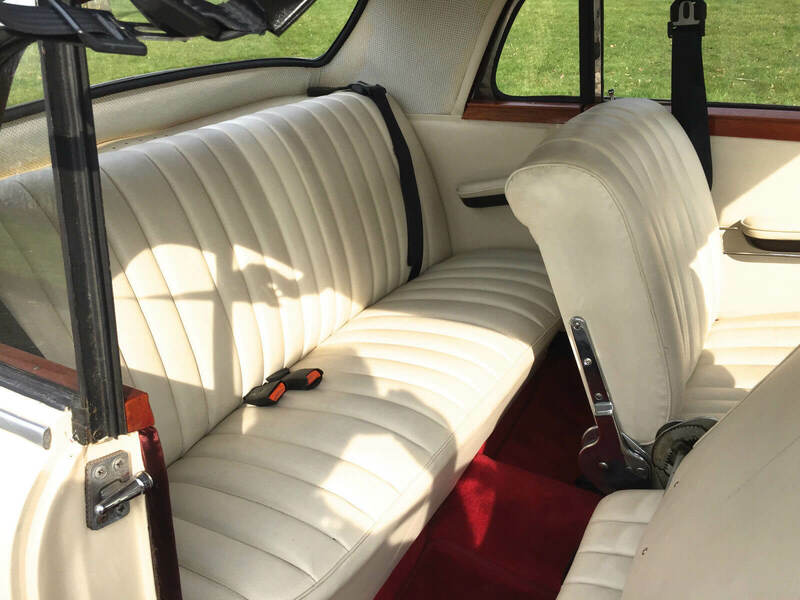 Finished in cream with a cream leather interior, red carpets and a wooden dashboard, this 220s was built by Mercedes Australia. Apparently due to restrictions imposed by the Australian government in the 1950s, foreign import car numbers were restricted. This resulted in Mercedes shipping their cars half built in order to get around the restrictions, with final assembly taking place in Australia. 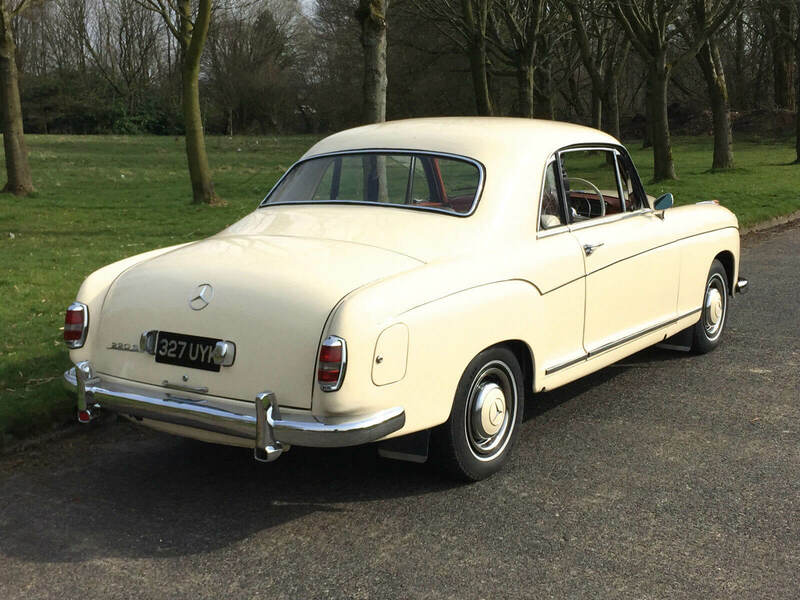 The seller states that this Mercedes 220s Coupe spent almost twenty five years in Japan before being brought to the UK. 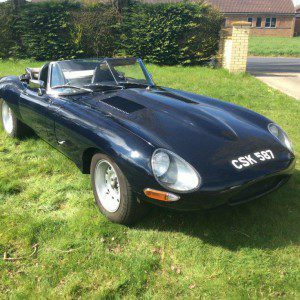 It is described as being in very good condition for a fifty five year old car and said to drive very well and start on the button. Mileage is said to be 6,000 though there is no history with the car. 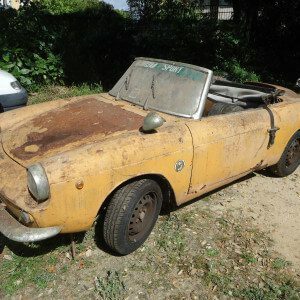 The seller believes it was restored at some point in its life but there are no details on when and what was done by the previous owner. The paintwork is described as being presentable with some attention required in places along with some re-chroming needed on one of the bumpers. The interior is said to be in superb condition with an excellent headlining. This Mercedes 220s Coupe is very elegant indeed. We expect the boot to be rather large. You can see the flaking paint and the missing reflector lens. We've always liked the style of a 1950s Mercedes dashboard and steering wheel. There isn't a lot of leg room back there but its sort of practical, for a coupe. The Mercedes straight six is bullet proof so hopefully this one has been looked after. This Mercedes 220s Coupe is a very rare car to find on sale here in the UK, especially a RHD model. While the cabriolets are considered more desirable and as a result command higher prices, the coupes have their own charm. This model looks very good for a 1959 model and with some detailing we think it could be brought up to a very high standard. 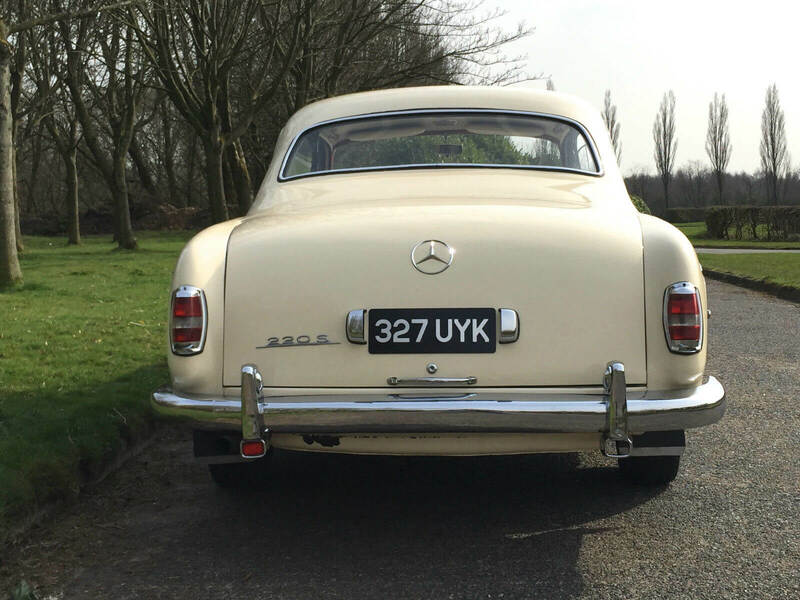 These Pontons have a certain elegance that you can only get with a classic 1950s Mercedes. 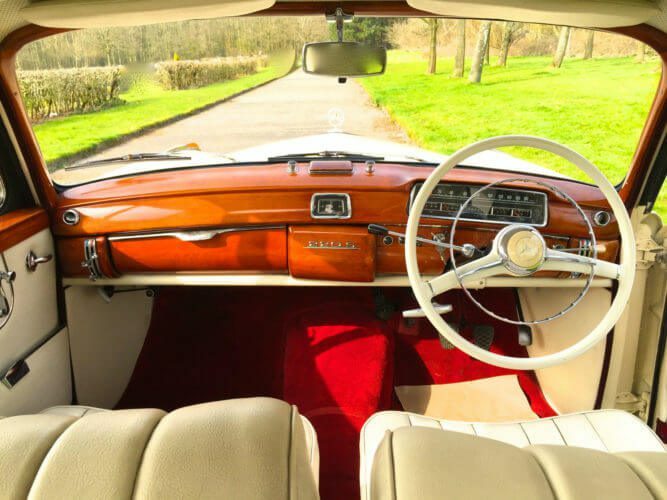 The cream paint with the cream seats, red carpets, the wooden dashboard and chrome work are a wonderful combination that oozes sophistication. It is tastefully minimalist but with an air of luxury. The engine bay is pretty tidy and looks standard. We assume its still running its twin Solex carbs. It is a pity this cars history has been lost as it would have been nice to know what works were done during its last restoration. And some collectors would be put off by the lack of history. Despite that, this Mercedes 220s Coupe looks a really nice example that warrants a good detailed inspection. We’d sort out the flaking paint below the rear bumper along with the missing bumper reflector lens and take care of the chrome work that the seller mentioned. We’re also not sure about the finish on the wooden dashboard, though that could be the photo. If all that is required is some detailed tidying here and there, this would make for a gorgeous addition to any collection. With so few made it might even be possible to track down some of the cars history. We really like this Mercedes 220s Coupe and it would make a very nice alternative to a Bentley S1 Continental Fastback. We’d just need the country house with the sweeping driveway to go with it. 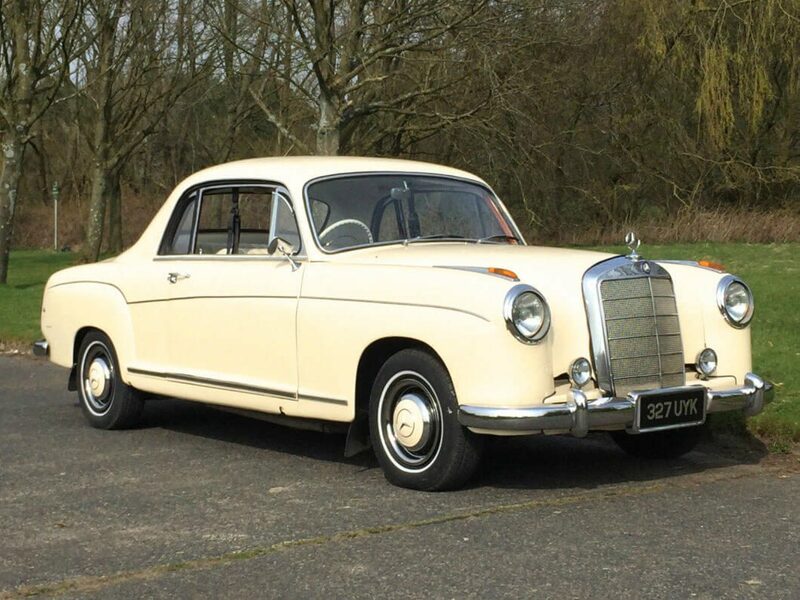 This Mercedes 220s Coupe is located in Wigan with a starting bid of £18,000 with the reserve not met. It also has a Buy it Now price of £35,995. This car doesn’t look like a real ponton coupe. It looks like a sedan that was modified into one. It just doesn’t look right! That may have happened James. It would need a closer inspection to find out it was a conversion.